Israeli archaeologists on Tuesday unveiled what they said was a major pottery plant which produced wine storage jars continuously from Roman to Byzantine times. The Israel Antiquities Authority (IAA) said that excavations near the town of Gedera, south of Tel Aviv, revealed the factory and an adjacent leisure complex of 20 bathing pools and a room used for board games. An IAA statement added that the jars' main function was storage and shipment of wine, which was a flourishing local industry at the time, with large-scale exports. "The continuous production of these jars probably indicates that the business was a family one, which passed from generation to generation to generation," the IAA said in a statement. It said the remains of around 100,000 jars found buried at the site were probably discarded rejects. Alongside the factory, it added, were two Byzantine bathhouses, at least one with a heating boiler and 20 "finely constructed" pools, connected to one another by channels and pipes. 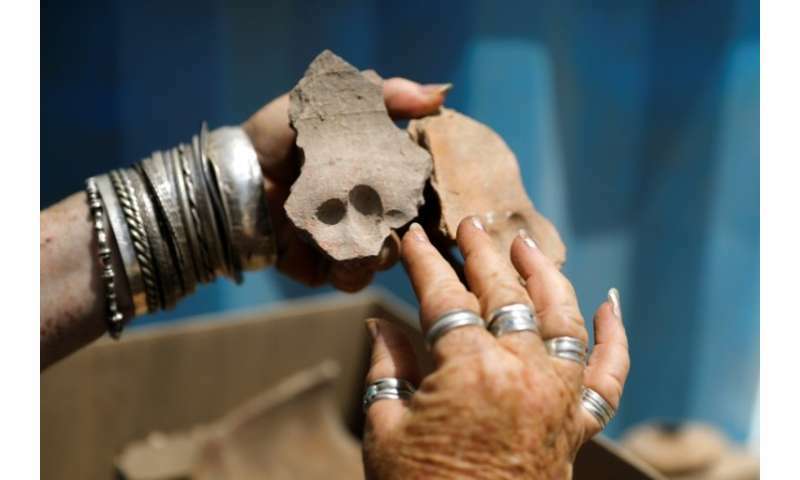 "The archaeologists consider that the water complex served both the local population and the many travellers along the ancient main road connecting the port of Gaza with the centre of the country," the statement said. Gaza City lies about 30 miles (48 kilometres) southwest of Gedera, on the Mediterranean coast. During its long history, Gaza has been ruled by the Romans, Byzantines, Crusaders, Mamluks and Ottomans. The statement said the Gedera pottery works may have built the leisure centre for its employees, just as today's hi-tech companies provide recreation facilities for their workers.